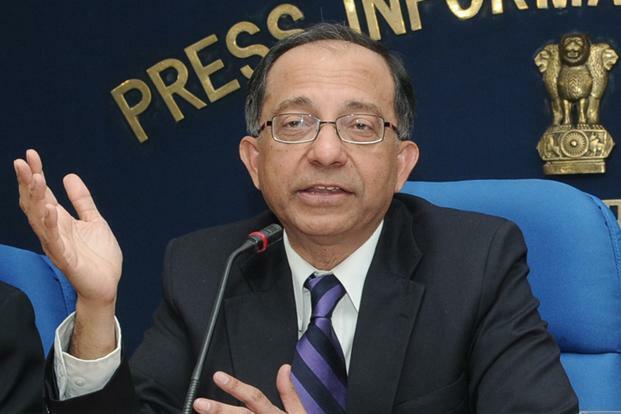 New Delhi, Dec 4: Expressing disappointment about the Indian economic growth figures for the second quarter, former Chief Economic Adviser (CEA) Kaushik Basu said on Sunday that the country's GDP should have grown at over 9 per cent in the context of low crude oil prices. "India's growth rate is now 6.3 per cent. It had reached a rate of 9.5 per cent from 2005-2008," tweeted Basu, who has been Chief Economist at the World Bank and served as CEA during the previous United Progressive Alliance government. "Now with oil prices so low, the growth should have been back at over 9 per cent. This massive slowdown needs to be properly diagnosed," he added. Breaking a five-quarter slump, a rise in the manufacturing sector's output pushed India's growth rate higher to 6.3 per cent during the second quarter ending September, official data showed earlier this week. On a sequential basis, India's GDP growth for Q2 of the current fiscal went up to 6.3 per cent, from 5.7 per cent reported during the first quarter of 2017-18. The country's GDP had grown at 7.2 per cent in the corresponding quarter last year. On the oil prices front, the Indian basket, comprising 73 per cent sour-grade Dubai and Oman crudes, and the balance in sweet-grade Brent, has recently gone over $60 a barrel, and as per available data it closed trade on Wednesday at $61.60.